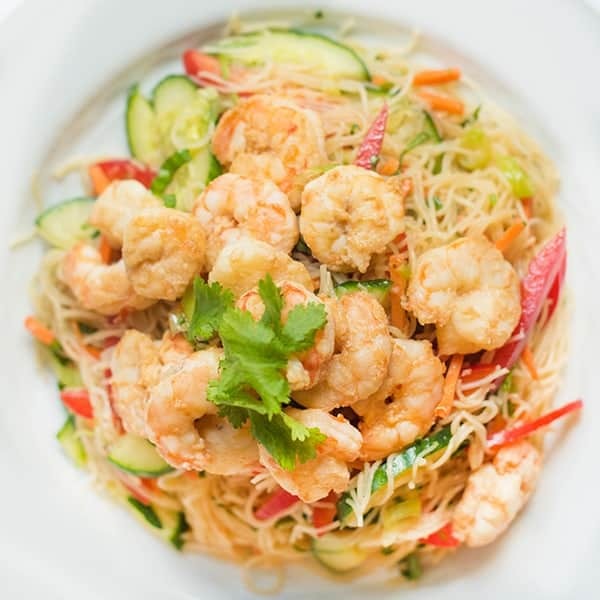 This bright and fresh Thai shrimp salad is made with rice noodles and crunchy vegetables then tossed in a tangy, tamarind-lime vinaigrette. 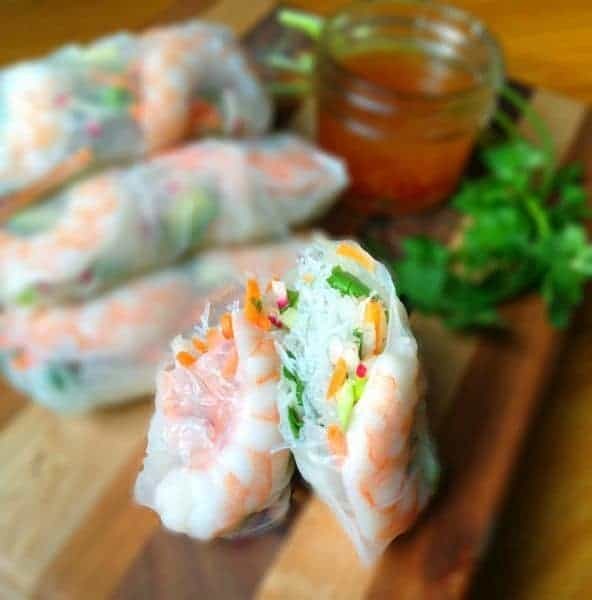 We eat Asian food all year long but during the hot summer months, I love to make fresh, little-to-no-cook recipes that can be served cold or room temperature. 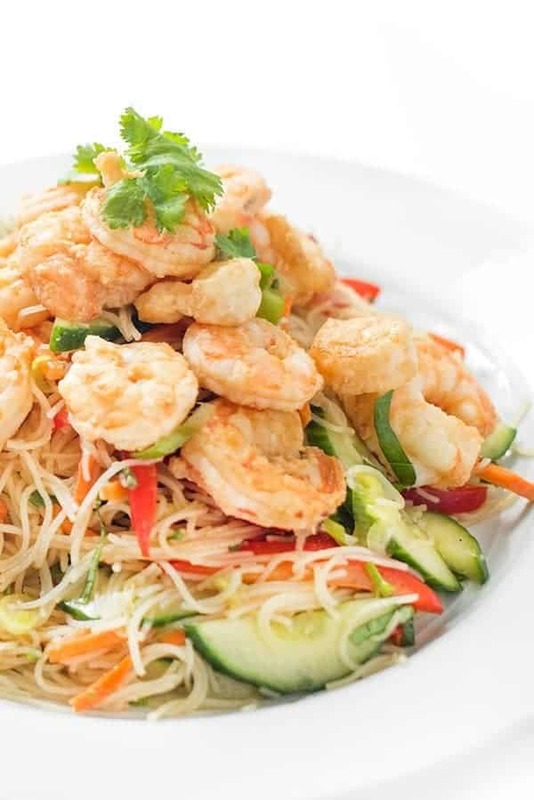 Whether it’s Vietnamese fresh rolls, Japanese quick pickled cucumbers or this Thai shrimp salad with rice noodles, it’s easy to find ways to enjoy Asian food while keeping cool. 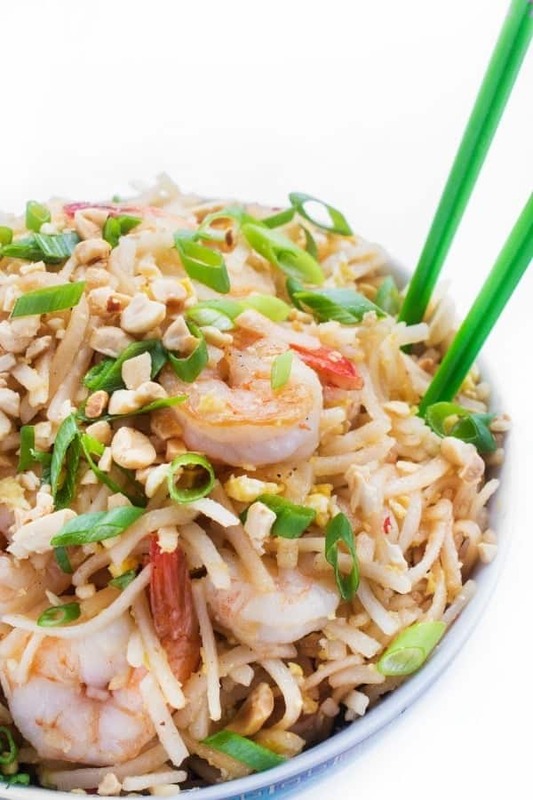 The secret ingredient to this bright and flavorful Thai Shrimp Salad with Rice Noodles? Tamarind paste! Whether you purchase the whole tamarindo pods and make the paste yourself or purchase ready-made tamarind paste, Nuts.com is a great resource for all sorts of ethnic ingredients. Sweet, tart, and slightly potent, a little goes a long way. I’m a huge fan of high flavor, low calorie ingredients like this. The tamarind paste is whisked together with other classic Thai ingredients including lime juice, fish sauce and brown sugar. 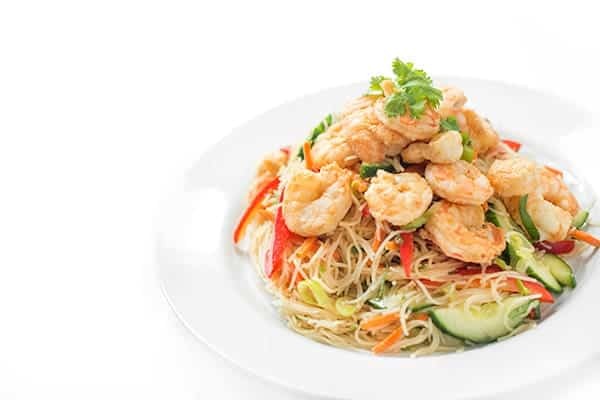 Shrimp is sautéed then tossed with gluten free rice noodles, red bell peppers, carrot and cucumbers before being tossed in the sweet, sour, salty and slightly spicy vinaigrette. You can serve the dish warm, room temperature or cold – whichever suits your fancy. 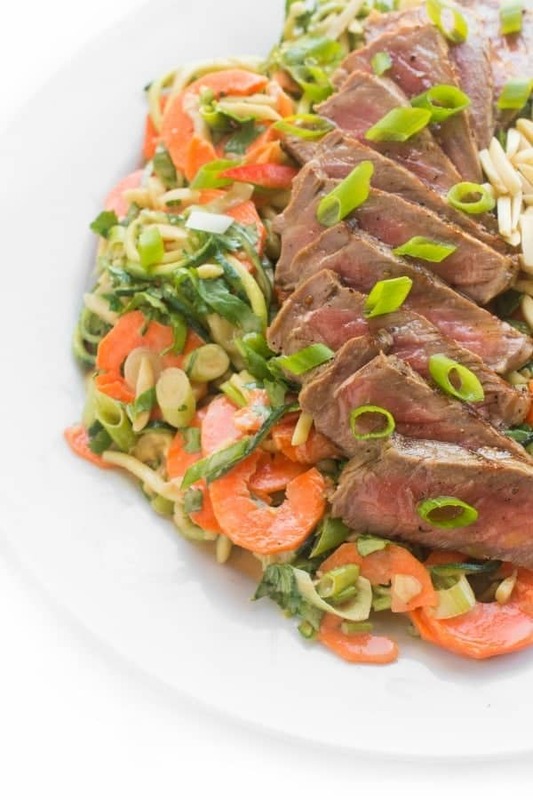 Ideal for making ahead of time, it makes a great prep-ahead lunch for the work week or an elegant dish for entertaining that can be prepared in advance. Cook rice noodles according to package instructions and place in a large bowl; set aside. Heat a large skillet over medium-high heat and drizzle with oil. Sprinkle shrimp on both sides with salt and pepper to taste then place in a single layer in the hot skillet. Cook for 1-2 minutes then flip the shrimp. Heat for an additional 1-2 minutes or until shrimp are opaque. Add cooked shrimp the both with the rice noodles. 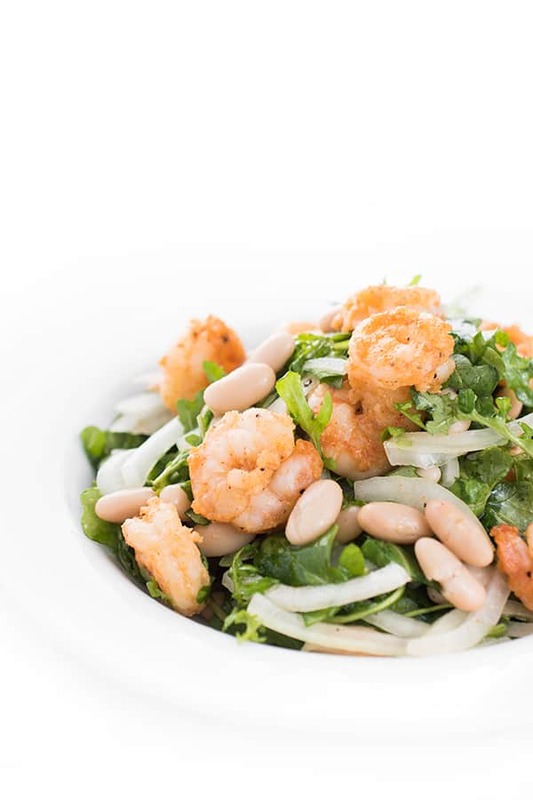 While shrimp are cooking, whisk together the vinaigrette ingredients: lime juice through garlic or sambal oelek if using; set aside. Add the remaining salad ingredients to the bowl (cucumber - cilantro) then drizzle with the tamarind-lime vinaigrette. Toss well then check for seasoning and adjust accordingly before serving. Disclosure: This post is in partnership with Nuts.com Thank you for supporting the brands that make The Lemon Bowl possible. All thoughts are my own. 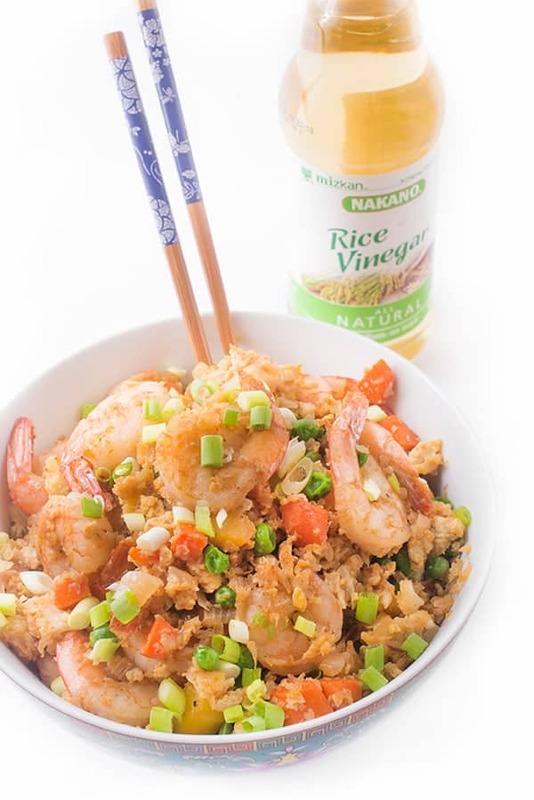 Check out more healthy and easy dinner options on my Pinterest board! Tamarind has such a fantastic sweet and sour flavor – perfect for a Thai-inspired salad. And now I want this for dinner! It really does!! It’s hard to replicate! This is seriously gorgeous. The photos make me want to dive right in. 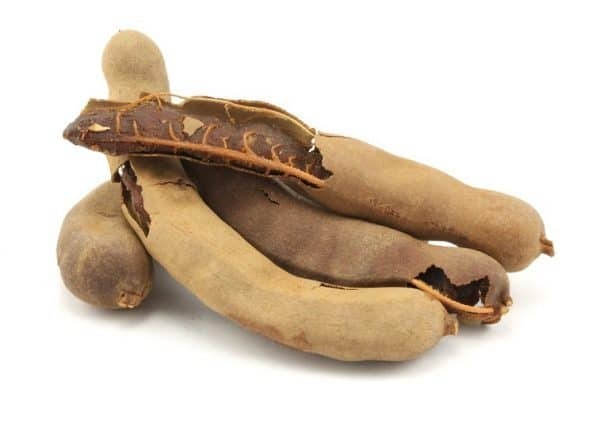 Tamarind can be hard to find, so hooray that there’s an easy source! This sounds SO GOOD. Exactly!! I hope you love it! Rice noodles are the best! What a lovely, lovely salad!! Thai food is my addiction! Totally going to be whipping this up this week!